If you are interested in pursuing a career at the Bar specialising in Family Law and practising at the highest level, then 29BR is the ideal choice for you. We are a long established set and a recognised leader in our field offering excellent training for pupils in all areas of Family Law and a highly competitive award. We are best known for matrimonial finance work. However, this reputation masks the reality that we boast star performers across the range of family law. Applicants should generally have at least an upper second class degree. There is only one criteria for success at 29BR; excellence. We have a proven track-record of rewarding hard work and commitment with an offer of tenancy at the end of pupillage. Up to two 12-month pupillages are available annually with awards of up to £35,000. Pupillage will normally be spent with three pupil supervisors and all pupils are encouraged to attend court with other members of chambers in order to gain first-hand experience in all our fields of expertise. Pupils can expect to be in court (and earning) on a regular basis during their second six. Routinely ranked as one of the top chambers for family law by the major guides to the legal profession, we can justifiably lay claim to being the most modern and dynamic of the top specialist family law sets. Our record of recruitment from amongst our own pupils is second-to-none, and our pupils – both those who are recruited, and those who are not – comment on the thoroughness of the training they receive here, and the friendliness of the set as a place in which to complete their training. As an organisation, our belief, and experience, is that the source of our ongoing success is in our pupils and junior members. The level of our pupillage award and our commitment to the pupillage programme is a testament to the strength of that belief. Whilst our reputation is long-established, our recent growth has on any objective basis been remarkable. A four-silk set at the start of 2010, we are now a set with eleven silks and many of the leading juniors in the country. That we have twice the number of barristers that we had just over ten years ago is perhaps the most obvious marker of the ever-increasing demand for our services in the market (as well as of our ability to attract and recruit the most talented pupils and established practitioners). We are based in modern and spacious premises in the centre of London, our information technology is up-to-the-minute, we are fully committed to the core principles of equality and diversity, and we continue to strive to be at the forefront of how the law, the legal market and legal services as a whole are developing. Our ambitions and philosophy are as one – to be ahead of the rest by being ahead of the game. The Chambers and Partners Guide 2018 describes us as "one of the best for private finance work" with "especially bright and hardworking juniors" and continues "while predominately a matrimonial finances set it really punches about its weight with some excellent children law specialists". Legal 500 is in a similar vein, saying we draw acclaim for our "strength across a wide variety of complex financial mattes and private and public children law disputes. Members are comfortable acting for high-profile and high net worth individuals in jurisdiction disputes, and cases involving offshore trusts and assets. This international expertise is also reflected on the children side, with barristers boasting experience in abduction and relocation cases as well as domestic public law matters". Many members, both silks and juniors, are individually listed as leaders in the field. Recent cases involving members of chambers include the Supreme Court appeals in Mills v Mills  UKSC 38, Sharland v Sharland  UKSC 60, and Vince v Wyatt  UKSC 15 and the Court of Appeal appeals in Sharp v Sharp  EWCA Civ 408, and Hart v Hart  EWCA Civ 1058 and  EWCA Civ 1306 and Bezeliansky v Bezelianskaya  EWCA Civ 76 and in other courts: FF v KF  EWHC 1093 (fam), Appleton & Gallagher v News Group Newspapers and PA  EWHC 2689 (Fam), SA v PA (pre-marital agreement: compensation)  EWHC 392, Shield v Shield  EWHC 23 (Fam), BN v MA  EWHC 4250 (Fam) and V v V (Prenuptial Agreement)  1 FLR 1315. “I really enjoyed my pupillage at 29 Bedford Row. I am very grateful for the high quality training I received and the wide range of work I was able to experience. 29 Bedford Row has high standards and pupillage was a steep learning curve but I was able to push myself because I felt both professionally and emotionally supported by chambers throughout. I knew that there would always be someone available to give me some help when needed. This support has continued in my first few years of practice – there is very much an “open door policy” in chambers and many of the practitioners who trained me are now my friends”. At 29BR we offer specialist knowledge at every level of seniority, and in every aspect of family law. Work is largely based in London and the South East, but all members practice nationwide with many practitioners practicing regularly in Manchester, Birmingham, Bristol and the other main regional centres. We also specialise in work arising out of the Civil Partnership Act 2004, TLATA and the Inheritance Act. Many members of chambers sit in a part-time judicial capacity as deputy district judges, deputy High Court judges and recorders. Several members contribute to the leading texts, write articles and lecture or broadcast on a variety of topics and also chair and participate in conferences and seminars. Chambers’ own seminar series - 29 Bedford Row Seminars - are a highly-regarded and well-attended series of lectures undertaken by members of chambers and aimed at solicitors and other practitioners. Pupils are always encouraged to attend. We are the first set of chambers to provide an active practice group of 18 collaboratively trained barristers, who are trained to act either as jointly instructed experts or by way of sole instruction. We are also a leading provider of private dispute resolution, with a number of members qualified to mediate, arbitrate or to conduct private FDRs. Our facilities for private dispute resolution are the envy of our peers. friendly faces to offer guidance; and the work was genuinely interesting and engaging. As a result I really enjoyed my pupillage here. It was the perfect first step in my career”. 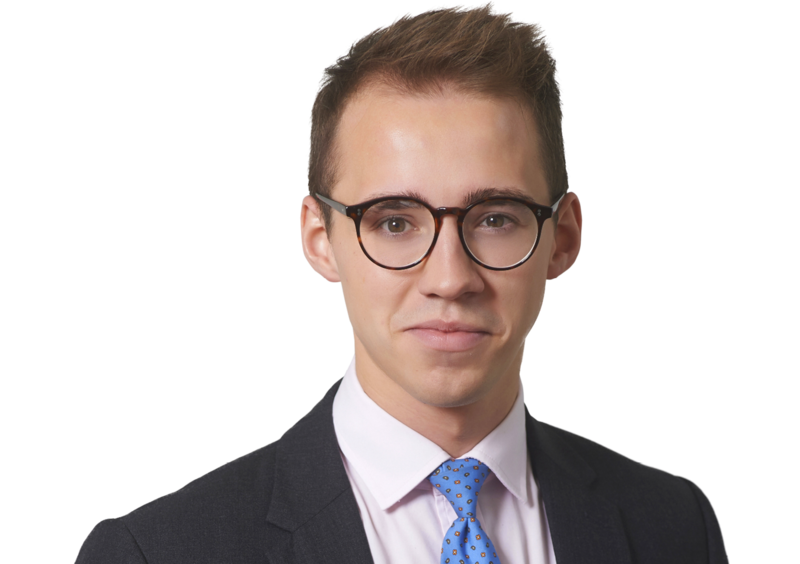 Chambers is a member of the Bar Council’s Pupillage Gateway for pupillage commencing in October 2020. Chambers advertises all vacancies for 12 month pupillages at pupillagegateway.com. Applications should be submitted in accordance with the Pupillage Gateway timetable. “I was a pupil at 29 Bedford Row many years ago and thoroughly enjoyed the experience. I am now one of the members of Chambers who is a Pupil Supervisor. I have done this for a number of years and find it an incredibly rewarding experience. It is a big responsibility to assist with the development and growth of the career of an aspiring barrister. As supervisors, we want to help you to learn the ropes from paperwork to advocacy and client management to an ethical approach to the job. Often pupils come in with a new perspective on cases, they ask intuitive and helpful questions and sometimes suggest different approaches that can improve outcomes. Pupil and Supervisor can really develop their team work and establish a long lasting bond. Pupils are the life blood of Chambers and it is a privilege to mentor and support them during pupillage and beyond”. We offer those interested in a career at the Family Law Bar the opportunity to spend time in Chambers as a mini pupil. During that time mini pupils can expect to attend Court, attend conferences and read paperwork whilst shadowing a number of different barristers. We aim to give all mini pupils as broad and varied an experience of life in chambers as possible. To apply for a mini pupillage please print out and complete the application form on our chambers website. Chambers operates an equal opportunities policy. There are no age restrictions for applying for pupillage in these chambers. Chambers has no preference between candidates with law or non-law degrees and we appreciate that applicants who have not read law at university will only have limited experience of law as an academic discipline when they apply for pupillage. Any major policy decisions which arise in connection with pupillage at 29 Bedford Row are dealt with by Chambers as a whole. However, all other matters (in particular, selection of pupils) are dealt with by the Pupillage Committee. Its members reflect the diversity within chambers. Its members are of varying levels of seniority and have differing areas of practice. The overriding goal throughout the selection process is to find pupils who might, in due course, become members of Chambers. Selection is on the basis of merit. Each application for pupillage will be read by a member of the Committee who will shortlist candidates for interview. Where shortlisters cannot agree, the Pupillage Committee will moderate the shortlisting decision. When considering whether to invite candidates for an interview the following factors will be taken into account: degree classification (applicants with a 2.2 degree or lower will not be considered further unless there is an exceptional reason for the classification), relevant work experience and skills, interest in family law and Chambers, presentation and use of language. We tend to conduct two rounds of interviews on separate days. Around twenty five candidates will be invited to the first interview. Of those approximately one half will continue through to the second interview. An individual’s performance at an interview will be marked against the following criteria: academic ability, oral advocacy and presentation skills, awareness of topical issues affecting the Family Bar and the profession as a whole, motivation and commitment to a career at the Bar,aptitude for Family Law work,research skills and legal analysis (second interview only). Candidates are not required to submit any written work or undertake a written assessment at any stage of the application process. All applicants will have the opportunity during both rounds to ask the Committee any questions which they may wish to put about any aspect of pupillage at 29 Bedford Row. Candidates are not required to prepare a specific piece of work for, or give any kind of presentation at, their first interview. Questions will be of a general nature and will not involve any analysis of the law. First round interviews will be conducted by a panel consisting of up to three members of the Pupillage Committee and will last approximately ten to fifteen minutes. Applicants proceeding to the second round will be interviewed by a panel consisting of at least five members of the Pupillage Committee. They will be asked to discuss (a) a specific legal problem which will be sent out to them in advance to prepare; and (b) a topic of their choice unrelated to the law (for example, on a particular political, social or cultural issue of the day). Candidates will be allowed to bring into the second interview with them any notes prepared in the course of their research. This will be a more substantial interview lasting approximately thirty minutes. A shortlist of candidates will be drawn up at the end of each round according to the scores achieved by each candidate. At the end of the second round the panel will offer pupillages to the two highest scoring candidates in that round. In the event that any applicant to whom pupillage is initially offered does not accept, we may make further offers in order of rank to those further down the list. Chambers will make offers within the rules of the Pupillage Gateway. For the session commencing October 2020, each pupil will be offered an award of up to £35,000. The pupillage award is paid in two instalments during the first six months of pupillage. Any payment of pupillage awards within the first six months is tax-free, giving a substantial saving to our pupils. This will be supplemented by Second Six earnings. Chambers pays for all compulsory pupillage courses and also the Forensic Accountancy Course (if completed during the pupillage year). Pupillage is divided into periods of four months spent with three different Pupil Supervisors. Pupils will be notified of the name of their first Pupil Supervisor about two weeks prior to the commencement of pupillage. Pupils are asked to liaise with the Secretary to the Pupillage Committee to register their pupillage before it commences. Within the first week of pupillage, a meeting is arranged with the Senior Clerk, the Head of Chambers and the Pupillage Secretary. There will also be a meeting with the Pupillage Welfare Officer (see below). Pupil Supervisors take their pupils on a ‘tour’ of Chambers to meet as many members of Chambers and staff as possible. A drinks party is also arranged in the first week of pupillage to welcome the new pupils to Chambers. Especially during the first six months, pupillage is a close professional relationship. It is above all an opportunity for the pupil, by participating in and observing his or her Pupil Supervisor’s practice, to further develop the practical skills necessary for practice at the Bar: advocacy, pleading, negotiation and conference skills, and proper professional conduct and etiquette. During the second six months pupils can expect to appear in court regularly. Over this period as a whole each pupil is likely to have, on average, between two and three court hearings per week. The initial frequency may be less, but more work becomes available during the long vacation months of August and September. Court work (and paperwork) is allocated by the clerks in strict rotation between the pupils. A written record is kept by the Senior Clerk of every court booking allocated and this is reviewed by the Pupillage Secretary every 2 months and is open to inspection if necessary. We are anxious that all pupils should get the broadest training possible and also that they should have a chance to impress widely. To this end, we encourage pupils to offer to help members of Chambers other than their Pupil Supervisors, particularly during their second six months. We expect pupils to accompany other members of Chambers to court if their Pupil Supervisor is on holiday or otherwise unavailable. We also try to ensure that pupils spend time with the most junior members of Chambers so that they can experience the type of work that they will undertake in their Second Six. Pupils will be expected to give priority to their Pupil Supervisor’s work during their first six months and their own work during their second six months. They should only take on work for other members of Chambers if they have sufficient time available and they should always obtain their Pupil Supervisor’s permission to do so. Subject to the individual requirements of a Pupil Supervisor, an average working day in Chambers may commence around 9 a.m. and end at around 6 p.m. It is possible to ‘contract out’ of the 48 hour maximum working week under the Working Time Regulations 1998. Chambers does not encourage pupils to do this. However we will, of course, take note of any individual pupil’s choice to do so by letter addressed to the Pupillage Secretary. However even if a pupil contracts out, he or she will still be expected to keep an accurate record of ‘working time’, and is asked not to spend any more than 48 hours on Chambers’ work each week. 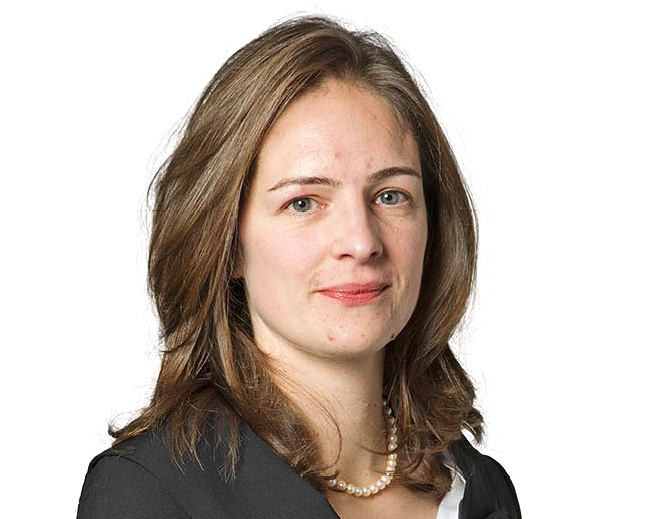 Pupils will receive work on their own account during their second six months of pupillage. There may therefore inevitably be times when a pupil will spend more than 48 hours per week working given the nature/weight of his/her own individual caseload. Pupils should not, however, seek to deal with their own work plus 48 hours of Chambers’ work per week. If pupils encounter any working time problems they should consult with the Welfare Officer immediately and in complete confidence. Pupils are entitled to take a total of four weeks’ holiday during the course of their pupillage – two weeks during their first six months and two weeks during their second six months. Pupils must liaise with their Pupil Supervisors to arrange holiday dates during their first six months. However, during their second six months pupils will also be required to notify the Senior Clerk. The negotiation and collection of fees is the responsibility of the clerks. There is inevitably a delay before any significant amount of fees are received by pupils. Cheques are distributed as soon as they are received. Pupils are billed clerks’ fees and rent at a total of 10% of their monthly fee income. It is a Bar Council requirement that, at the conclusion of pupillage, the relevant checklists are completed by each pupil. Each pupil’s progress is monitored throughout the year and any deficiencies addressed. The pupillage checklists are contained in the Bar Council’s Pupillage File, which is sent out to all pupils. Pupils at 29 Bedford Row will be expected to complete the specialist Family Law checklist and are encouraged to update it at regular intervals throughout the course of the year. Pupil Supervisors will provide informal feedback to their pupil on a day-to-day basis. However, Chambers also has a formal review process. It is designed to ensure that, at each stage, a pupil knows his/her Pupil Supervisor’s opinion of their work and working methods, and receives guidance for the coming months. Formal feedback will be provided every two months during pupillage. The review is recorded in writing in summary form, and is counter-signed by the pupil. The Review Sheets will be submitted for consideration by the Chairman of the Pupillage Committee, the Pupillage Secretary and the Tenancy Committee (see below). Chambers recognises that pupillage is, both intellectually and otherwise, an arduous and demanding year for pupils. For this reason we are keen to safeguard our pupils’ welfare (both professional and personal), and we have three different avenues of consultation in place for pupils in respect of any difficulties they may encounter. We pride ourselves on being friendly and accessible, and we believe that we live up to this. These avenues are open for pupils to consult with us without fear of recrimination or prejudice to their tenancy prospects. Your Pupil Supervisor will be available to help with any query which may arise on any aspect of pupillage. Subject to immediate pressures of time and work, any member of Chambers will also be happy to assist any pupil. For instance, if a pupil has a query about law or practice in a field outside the knowledge of his/her current Pupil Supervisor, a member of Chambers specialising in that field may be able to help. Pupils may discuss any problem or difficulty with the Secretary of the Pupillage Committee whether it is in the way of a grievance or not. If the topic of discussion is a potential grievance, the Secretary will instigate Chambers’ Grievance Procedure. In addition a Pupillage Welfare Officer is available to deal informally and confidentially with any concerns and queries which pupils may have in respect of any personal or professional matter which affects them during pupillage. All pupils are introduced to him/her soon after their arrival in Chambers, when he/she will explain his/her role. The position of the Pupillage Welfare Officer is neutral. He/she will not vote at Chambers’ tenancy meetings and he/she is therefore someone to whom pupils can talk about any difficulty in confidence, and who will not relay the content of any discussion without the authority of the pupil concerned. As discussed above pupils have a free choice in deciding with whom they first wish to discuss any difficulty. If it becomes apparent from discussion that the problem is in the nature of a grievance, then the problem should be taken by the pupil to the Secretary of the Pupillage Committee. The grievance will be considered by the Chairman of the Pupillage Committee and his decision and the reasons for his decision recorded in writing. The right of appeal from his decision lies with a panel of three members of Chambers’ Board of Directors. This panel will consist of at least one QC. No member of the panel would sit on the Tenancy Committee in that year. Any such decision – and the reason for the decision – will be recorded in writing. The clerks play a central role in Chambers life. 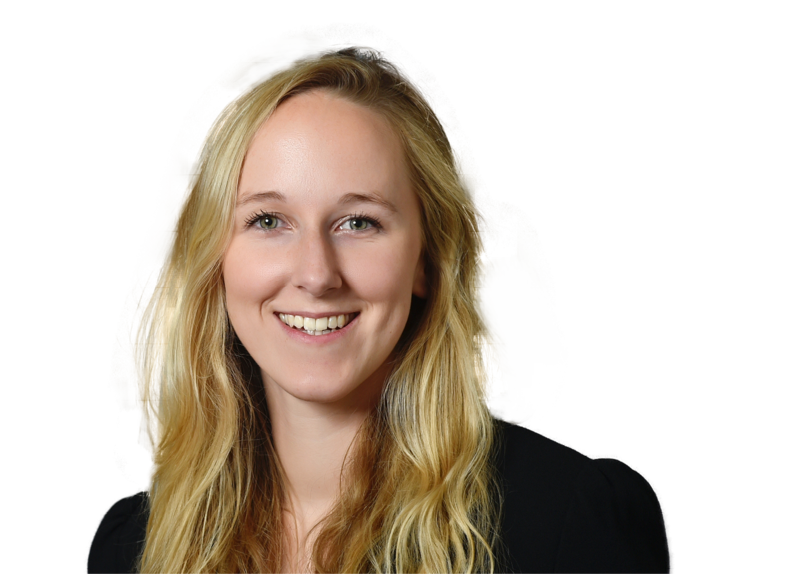 Pupils will have relatively little contact with the clerks during the first six months, but much more during the second six months when all arrangements concerning pupils’ own court work are made directly between the pupil and the clerks. The clerks are happy to help with any matter which is within their sphere. to compile and maintain throughout the year a file of all work done by them and feedback received from members of Chambers. No current Pupil Supervisors are eligible to sit on the Tenancy Committee. Each pupil’s file of work, along with reports from Pupil Supervisors and feedback received from solicitors via the Senior Clerk, will be submitted to the Tenancy Committee who will interview all pupils who wish to apply for tenancy in early July. The recommendation of the committee will be put before a full meeting of Chambers in mid July at which a final decision will be taken. Pupils will be notified on the day of the outcome of that meeting. This is late enough for pupils to have had a chance to impress, but early enough for those who are not offered tenancies to start looking elsewhere in good time. The selection of new tenants is the most difficult decision which Chambers has to make each year. In most years one tenancy is offered. However, there is no guarantee that any tenancy will be offered. We appreciate that pupillage is a very stressful year and that applicants for tenancy will naturally be disappointed if we are unable to offer them a place. We always therefore aim to give maximum assistance to any pupil who is not offered a tenancy. The Pupil Supervisors and other members of Chambers will offer guidance and references in the search for a tenancy or further period of pupillage elsewhere, or for whatever other course each pupil may wish to take. Former pupils of 29 Bedford Row have a very good record of finding tenancies or Third Sixes elsewhere. 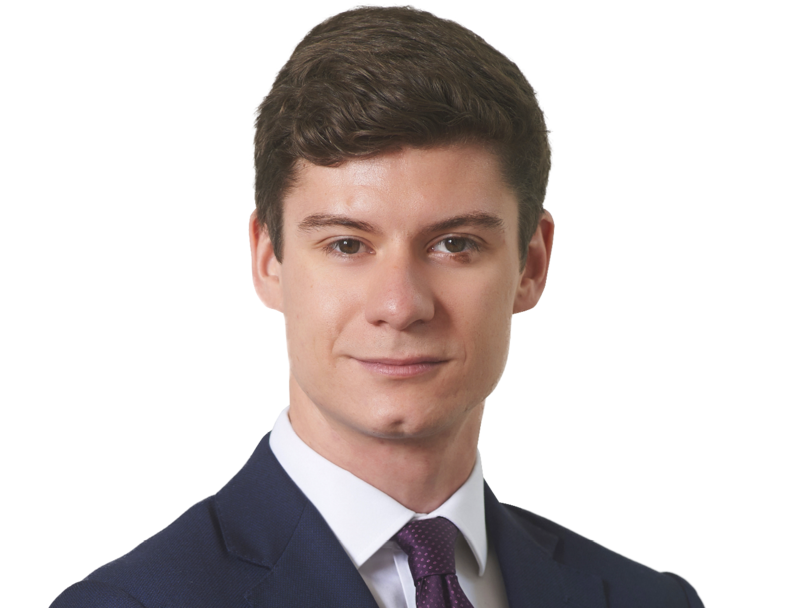 Chambers’ pupils who have not been offered tenancies, but who reach agreement with the Head of Chambers to remain in Chambers for a certain time after their pupillage comes to an end, are known as squatters. The length of time that a former pupil may remain in Chambers is a matter for agreement between the Head of Chambers and the former pupil. During this time they will continue to be given work by the clerks as and when available and will pay a contribution towards clerks’ fees and rent of 10% of fees received. From time to time, Chambers may take on Third Six pupils (with or without a view to applying for tenancy). When a pupil comes for a Third Six, it is up to that pupil to decide whether, and if so when, to make an application for a tenancy in Chambers. As and when any such application is made, it will be considered on its merits in line with the procedure for 12 month pupils set out above. Applications for a Third Six should be addressed to the Secretary of the Pupillage Committee. Third Sixes are unfunded, but it is hoped that substantial earnings will be available from court work. In all other respects Third Six pupils will be treated exactly the same as pupils who come to Chambers for their first twelve months, and a Third Six pupil’s work will be distributed by the Clerks in the same fashion. If you have any questions about the application process or about pupillage at 29 Bedford Row, please contact the Secretary to the Pupillage Committee, Charlotte Trace at ctrace@29br.co.uk.